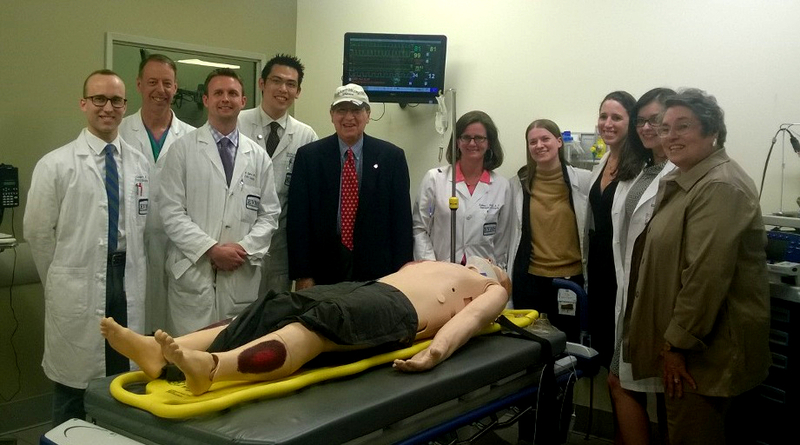 EVMS surgery residents recently participated in a manikin based simulation training exercise funded by the Greenspan Education Fund at the Sentara Center for Simulation and Immersive Learning. The Greenspan Education Fund was established thanks to a generous gift from Mark Greenspan, MD, Associate Professor of Surgery, and his wife Betty Greenspan. The Fund will be used to enhance the simulation curriculum for fourth-year EVMS medical students and surgical residents.